​In order to host the best fashion show possible, our event designers will go through a variety of options with you to determine exactly what you desire to make your show pop. We cover everything from décor to lighting and all the little extras along the way that will really make your models stand out from the rest.  ​Track Seven Events is here to take the stress out of the event design process for you. View our gallery above to see some of the great work we’ve done for other fashion runways. Then call us at 678-855-8825 to set up an initial consultation where we will start planning an incredible experience for you. We strive to make sure every detail is taken care of for you, so you can relax and enjoy the show!